One of the most random moments in my life so far was being in a bar in Sri Lanka when my phone went crazy with producers from the BBC trying to contact me. 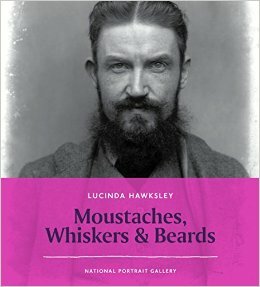 They wanted to tell me the groundbreaking news that Nigel Farage had grown a moustache and to interview me in my capacity as author of Moustaches, Whiskers & Beards (published by the National Portrait Gallery). This is the resultant interview, which is on at minute 26, it’ll be available to listen to until 12 September. http://www.bbc.co.uk/programmes/b07mvycv Sadly my comments about what my advice would be to Nigel Farage (which had nothing to do with his moustache) weren’t included.